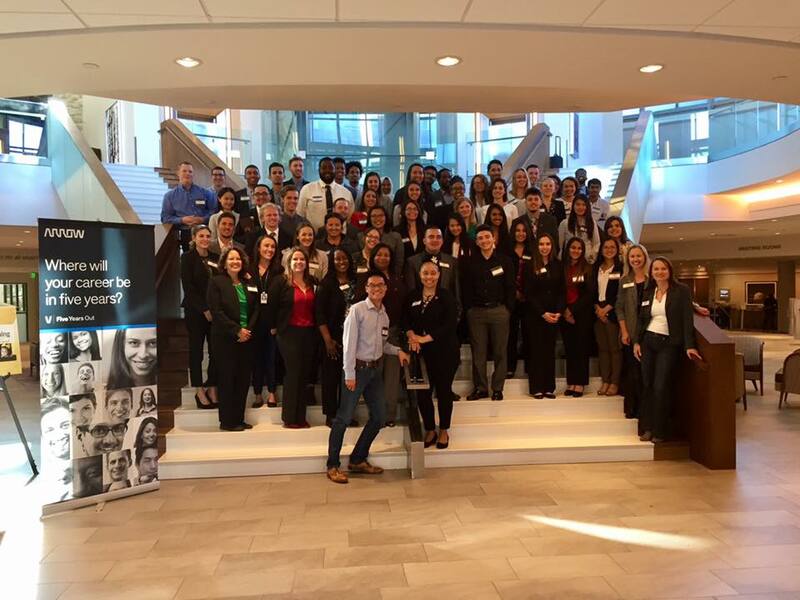 Arrow Electronics recently held its third annual Diversity Day event at the Denver Tech Center Hyatt Regency, near the global technology company’s global headquarters in Centennial, Colorado. More than 90 ethnic minority, first-generation, LGBTQ, veteran and disabled undergraduate and graduate business and engineering students from four metropolitan-area universities attended the event, which was aimed at introducing them to the wealth of career opportunities available at the company and providing an opportunity to network with top Arrow executives. The Arrow Diversity Day event was held on the same day that the Profiles in Diversity Journal announced Arrow as one of the honorable mentions for its 2016 International Innovation in Diversity Award Winners. Previous Arrow Diversity Day events have netted the company a number of exceptional talent acquisitions. Arrow’s ultimate goal is to funnel as many interested students as possible into its immersive summer internship program, which successfully transitions 90 percent of eligible interns into full-time Arrow employees.